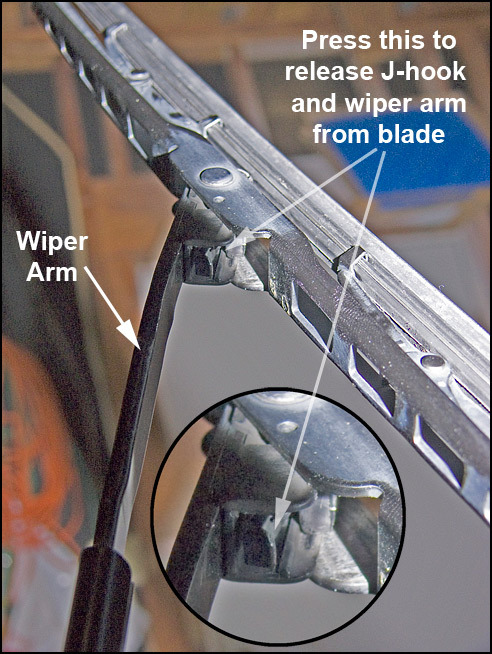 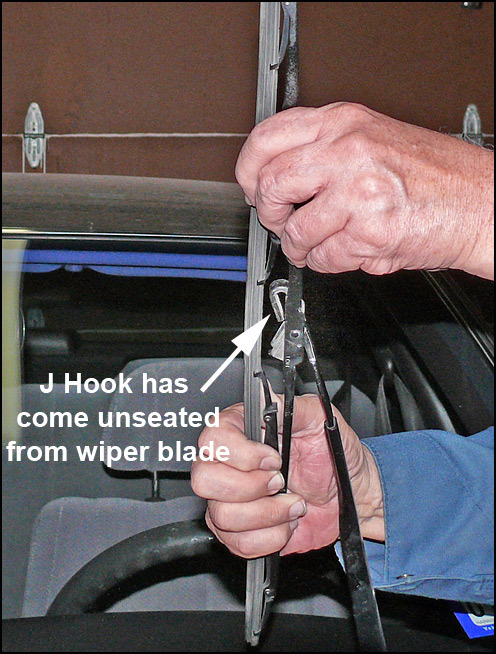 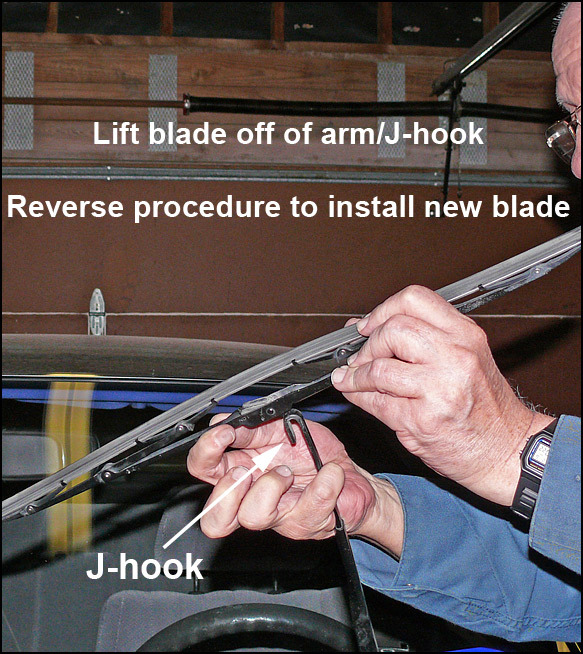 The following pictures show the procedure for removing a windshield wiper blade from a Toyota Camry. 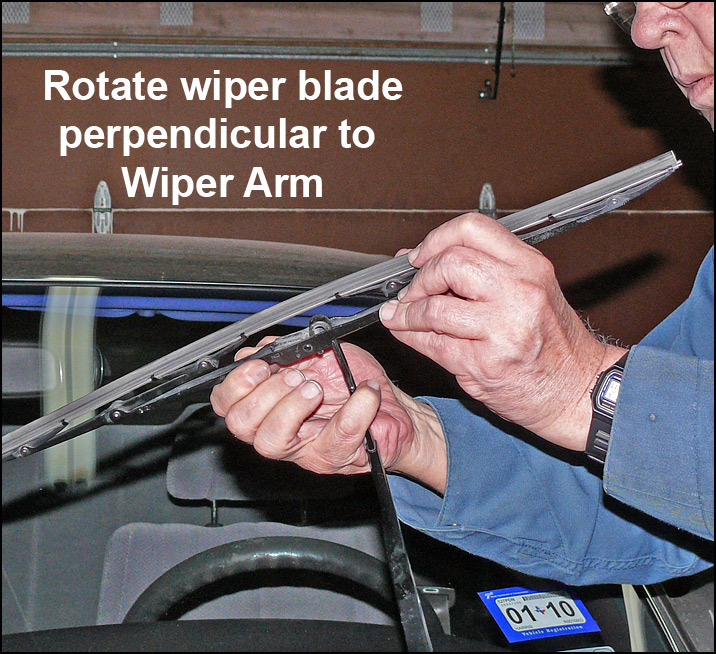 This is a '94 model, but most Camrys through about 2010 are the same. 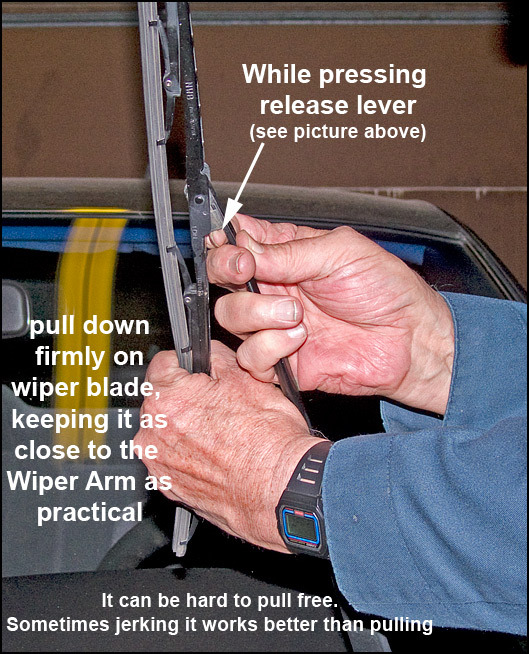 Later models are different.